PPL PHOTO AGENCY LTD – COPYRIGHT RESERVED PHOTO CREDIT: Bill Rowntree/Knox-Johnston Archive/PPL TEL: +44 (0)1243 555561 Email: ppl@mistral.co.uk Web: www.pplmedia.com ***Historic. Circa 1969: Robin Knox-Johnston, the first man to sail solo non-stop around the World, aboard his 32ft 5in yacht SUHAILI. 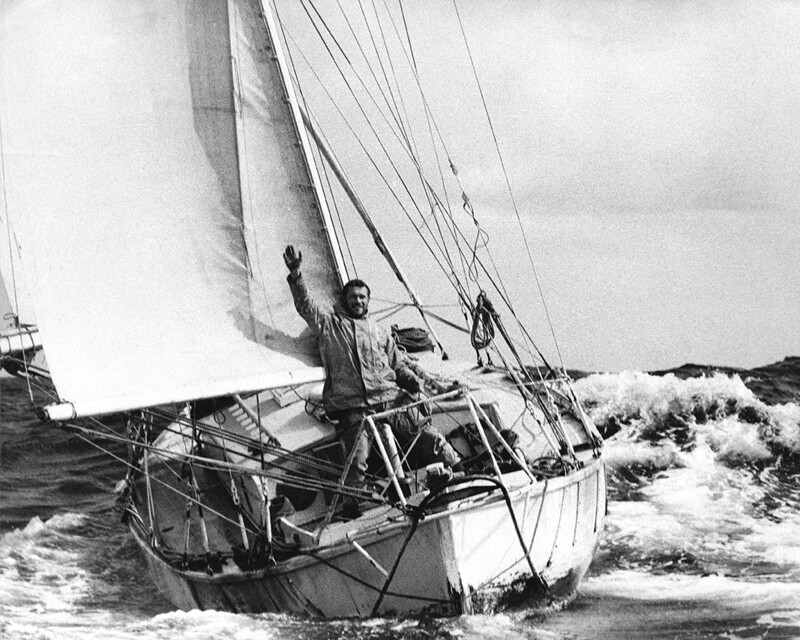 Pictured here returning to Falmouth, England on 22nd April 1969, to complete the 30,123 mile voyage in 313 days – an average of 4.02knots.